Welcome to week 12 of the series! This week officially marks the halfway point for this series! I'm not sure I'm ready for it to end though... This week I took my hair all the way down since I had it up for two weeks. I detangled it by combing it from the ends all the way up to the root so that any hair that had previously been shed had the opportunity to come on out. Doing this prevents any tangles from being in the hair. I made sure to shampoo it extra good this week since it was a national holiday (at least to me). I celebrated my birthday this week!! Let''s jump right in to this week's routine. I did the same routine that I have been doing which includes shampooing first with the Extreme Clean Shampoo (to remove all dirt and residue), followed by the Extreme Moisture Shampoo to start the process of adding the moisture back in the hair. I shampoo one time with each one of these (I do this in the salon also with my clients). Then I moved on to the conditioner using the Replenishing Conditioner and letting it sit for a few minutes. This sit for between five and up to fifteen minutes before rinsing. Lastly, I applied the Leave-In Conditioner to help me detangle before blow drying. 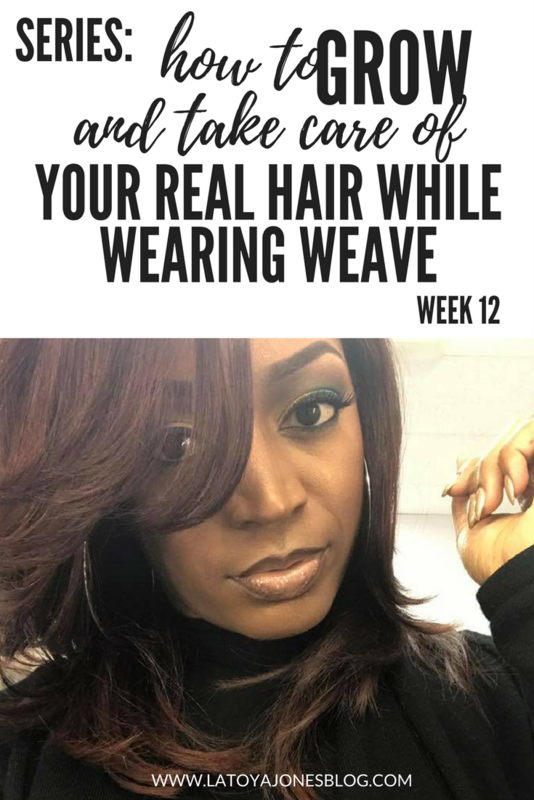 Wearing wigs can help your hair grow! Unfortunately I had to braid my own hair for my birthday! It was the last thing I wanted to do and it definitely showed. It looked so bad that I was ashamed to show it on camera! It was just braided straight to the back like normal, accept it looked a mess. After that, I oiled my scalp, massaged it in, then put my wig unit on.